Chicago-based Cresco Labs, a multistate cannabis company, has agreed to acquire Origin House – a Canadian firm with massive portfolio of brands and major California presence – in a deal valued at $823 million (1.1 billion Canadian dollars). 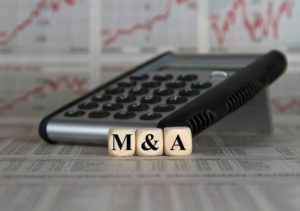 The all-stock deal, announced early Monday, marks the largest acquisition in the U.S. of a publicly traded cannabis firm, topping iAnthus’ $625 million, all-stock deal announced in October for MPX Bioceutical. Origin House, which changed its name from CannaRoyalty Corp. last year, trades on the Canadian Securities Exchange (CSE) under the ticker symbol OH. Cresco Labs trades on the CSE as CL and on the over-the-counter exchanges as CRLBF. Shares of Cresco Labs were up nearly 4% early Monday, trading at $11.69. The acquisition will boost Cresco Labs’ footprint in California, where Origin House is a top cannabis distributor, delivering more than 50 brands to 500-plus dispensaries across the state. All told, the combined company will boast licenses for up to 51 retail locations and more than 1.5 million square feet of cultivation across 11 states, Cresco said in a news release. “This significantly accelerates our efforts to build the first national house of brands with broad and deep positions in the largest cannabis markets in the country,” Cresco CEO Charlie Bachtell said. Under terms of the deal, Origin House shareholders will receive roughly 0.84 shares of Cresco Labs for each Origin House share they hold. This implies an Origin House per share value of CA$12.68, based on the exchange rate and last closing day before the announcement. The deal – which is set to close at the end of June – has been unanimously recommended by Origin House’s board of directors but is subject shareholder approval. Cresco Labs shareholder approval is not required. The companies are hosting a conference call Tuesday morning to discuss additional details of the deal. I know that when i voted to legalize marijuana in California, I was hoping to create a few massive marijuana monopolies owned by conglomerates based in Canada and bankrupt the small farmers with expensive regulations 😉 Is anyone actually cheering for these massive corporations to take over the market? I hate to say it, but Kevin Sabet was right, legalization is feeling more and more like a ploy to create Big Marijuana to join Big Tobacco and Big Alcohol.